If your buying or selling, contact us to assist you in your purchase or sale. Stop being a landlord. Enjoy being an owner. Let us manage your investment property. CRM = Customer Relationship Management! Casimates Realty Management LLC is a full-service property management company serving Germantown, Derwood, Olney, Silver Spring, Bethesda, Rockville and all of Montgomery, and Howard County MD. We specialize in property management and real estate sales for buyers, sellers, and investment property owners. Our commitment to our clients ensures your satisfaction with our services. Let our experience and knowledge guide you expertly through every real estate transaction. At Casimates Realty Management LLC, we help investment property owners with every aspect of the property management process. From advertising and listing each rental to collecting rent and preparing monthly statements, we make certain that every stage of the rental process is expertly handled. You can have peace of mind knowing that we will take professional care of everything involved with the management of your property in Germantown, MD or Derwood, MD. If you are planning on buying or selling property in the local area, you will benefit by having a real estate professional who can walk you through each stage of the process. George Casimates of Casimates Realty Management, LLC has close to 30 years of experience in the industry. He provides personalized service with each client that is hard to match from the big real estate companies. Count on his help to ensure your success with your real estate sale or purchase. 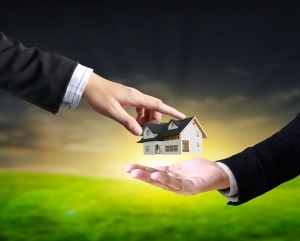 Contact Casimates Realty Management LLC to find out more about our real estate services. Call us at (301) 774-2160 office, or 301-775-1257 mobile, today. We look forward to providing the trusted professional service you expect for successful real estate transactions and outstanding property management services. When you call me…….you get me. Not a service. Make the hassles go away and call us today! Couple of years ago, we were looking for an investing property, we were lucky to find George. He helped us find a nice property that ended up being a great fit for us. I should say that it sounds easier than it is. With no experience on this type of transactions we realized that our original idea was not the best and George was always guiding us on the right direction. He has an eye for many details that at the end are important but people with no experience doesnât consider; like the total area of construction, outside noise, future maintenance, etc. After our purchase George has managed the property avoiding us all the hassle to find and deal with tenants and once again using all his experience on little details that we could had easily overlooked. We couldnât be happier with his services and I would recommend him to anyone looking to buy, sell or needs property management. I cannot thank you enough for all of the help with the prep of my home, acting as my real estate agent for the sale of the old and purchase of a new home. I could not have done all of this without your help. I have known you for many years and have seen your fabulous work ethic and dedication. You represented my best interest in your interaction with the buyer's real estate agent and with the builder of the new home. You were able to negotiate with the buyer's agent and keep everyone happy. Their agent even told me she respected the way you handled everything. The fact that you were able to find a qualified buyer before the sign went up was fabulous and you got my asking price. You gave great recommendations on when to promote the sale of the house, which I feel made the sale of the house go quickly 4 days! Prior to the sale of the house, you made great recommendations on how to improve it so it would sell quickly and you recommended a contractor. I appreciate that you assisted me with working with the contractor, so I did not feel overwhelmed. The purchase of my new home was great since the builder had not even started advertising. You initiated the contact with them and since I was one of the first, you were able to negotiate a good price and some extras. The fact that you are always watching the market to see what is out there helped me in getting into a lovely new neighbourhood. You made this whole process go so smoothly. Thank you so much for making my transition go smoothly. I would highly recommend you to anyone.